Home Columns The Pet Oasis, Pets Love This Place! A local gem for pet lovers who want to keep their animals healthy and happy, The Pet Oasis is tucked away in the Ralph’s shopping center in Bermuda Dunes. This pet supply store caters to our special animals, seeking to meet their nutritional, recreational, wardrobe, and travel needs. An increasing number of health conscious pet owners seek pet foods that keep their animals healthy and extend their life span. A healthy and happy dog or cat means fewer veterinary bills. The American Pet Products Association estimates that Americans spent over 60 million dollars annually on their pets, up 25% from five years ago. Domestic pets are increasingly regarded as family members. These consumers often treat their animals with the same respect and love they demonstrate towards other humans, and want the very best for them. 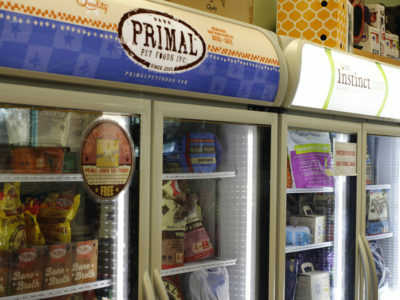 The Pet Oasis seeks to fills the niche for pet owners seeking quality and innovative products. As a customer of The Pet Oasis, I personally am impressed with the excellent customer service provided by their knowledgeable staff. They have good information about pet nutrition and pet supplies. They are efficient and friendly, and clearly care about their 4-legged customers. 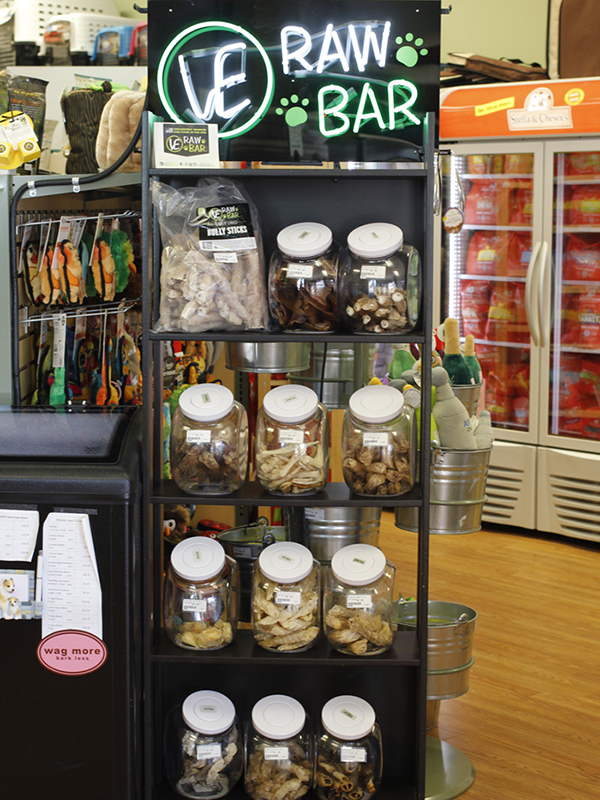 The Pet Oasis carries premium nutritional items including raw food, goats milk, bone broth and raw bones. Their pet food brands include Primal, Stella & Chewy, K9 Natural, Small Batch, Canidae, Origen, Nulo, Natural Balance, Nutrisource, and many others. The dog food brands they carry never contain corn, wheat, soy, raw hide, or byproducts. Fluffy and Fido will want to pick out a fun toy during their visit. Folks wanting their pet to look glamourous will find a good selection of dog apparel and gorgeous collars. The shop has a name tag machine, an important item to keep dogs and cats safe. Allergies are a common and troubling problem for many canines. The shop offers the Glacier Peak Holistics Pet Wellness Lifescan Stress Test, a hair and saliva scan that identifies over 300 stressors and triggers in your dog’s diet and environment. Their cost is $89.99, less than the online price. The results are sent to the customer and The Pet Oasis so their staff can help select products to alleviate your dog’s allergy symptoms. I plan to order this one for my dog, Enzo Ferrari. 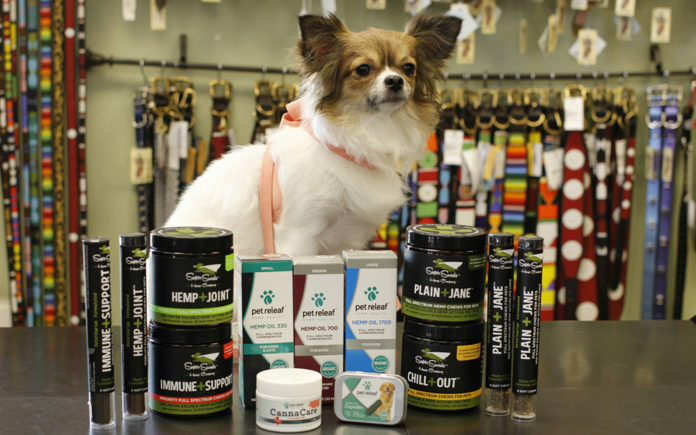 This business supports the adoption of rescue dogs and cats. They host adoption events for two local rescue organizations. Cathy Borrego with BFF4pets and Susan Cole from Hope Ranch are frequently there on weekends with rescue dogs and cats seeking forever homes. The windows of the shop display flyers of homeless animals in need of loving homes.